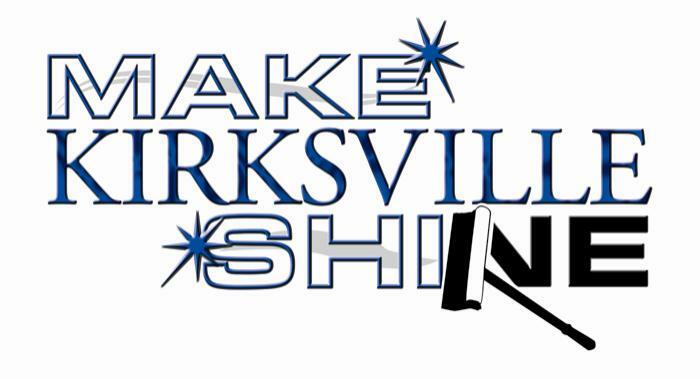 Community-Wide Beautification Event Looks to "Make Kirksville Shine"
In an effort to focus on primary areas and streets, there will be two organized efforts on Aug. 2 in which community volunteers are being encouraged to participate. Volunteers will be provided with work gloves and trash bags courtesy of Ameren and the City of Kirksville but are encouraged to bring their own tools, including brooms, clippers, rakes, etc., if possible. For those who are not able to participate Aug. 2, community members are encouraged to use the days leading up to Aug. 2 to clean up their areas. In conjunction with the Aug. 2 Community wide clean up, Truman faculty and staff are encouraged to use the afternoon of Aug. 1 to pick up trash inside and outside their buildings as well as pulling any obvious weeds outside their building. Our grounds crew does an amazing job of keeping our campus looking beautiful, but they oversee 180 acres so any extra help in picking up trash and pulling obvious weeds is appreciated. For additional information or questions regarding the event, email pr@truman.edu. A 10- to 12-hour power outage will be necessary Aug. 2 when Ameren Missouri reroutes the back-up power feed to most of the Truman campus. While this is an inconvenience, Ameren engineers say the work is critical to avoid future power outages on campus. When a fire occurred at the Randolph Street substation last March, Ameren Missouri discovered the back-up power feed to most of the Truman campus was not effective. Before Ameren can replace the fire-damaged switching equipment at the substation, they must first re-route the back-up power feed. The following buildings will be affected: Adair House; McClain Hall; Baldwin Hall; McKinney Center; Blanton-Nason-Brewer; Missouri Hall; Boiler Plant; Patterson House; Bulldog Kennels; Pershing/Health Sciences Building; Dobson Hall; Pickler Memorial Library; Fair Apartments; Ryle Hall; Grim Hall; Stokes Stadium; Kirk Building; Violette Hall; and Kirk Memorial. Buildings not affected include: Barnett Hall; Campbell Apartments; Centennial Hall; General Services Building; Magruder Hall; Ophelia Parrish; Randolph Apartments; Ruth W. Towne Museum and Visitors Center; Student Recreation Center; Student Union Building; and West Campus Suites. During this power outage the impacted buildings will be closed, as there will be no air conditioning, fire alarms or elevator service. Because ITS is in McClain Hall, the campus computer network will also be down. Due to the Aug. 2 power outage, the men’s basketball camp scheduled in Pershing Arena has been cancelled. Anyone that has already registered and paid will receive a refund. For more information, call 660.785.4236. Faculty, staff, students and organizations interested in volunteering to help students move in Aug. 16 can sign up here. For questions, contact Jacey Wood, administrative assistant to the dean of Student Affairs. At 6 p.m. July 29, the Kirksville Chamber of Commerce will sponsor a candidate forum for the third district Missouri House of Representatives race. The forum, which will take place in the Gutensohn Building in Kirksville, will also be broadcast live by KTRM, both over-the-air on FM-88.7 and online at tmn.truman.edu. Online listeners can click on the “play” button below “The Edge” red and white logo to access the audio. Twenty volunteers are needed to assist with the new student welcome picnic from 6-7:30 p.m. Aug. 17 on the Mall. Anyone willing to volunteer should email Jacey Wood at jacey@truman.edu by Aug. 8. It would be great to have representatives from each department on campus. For more information about the picnic contact Wood at 660.785.5404. In case of emergency, call 9-1-1. To have an officer dispatched to contact you for a non-emergency, call 660.665.5621. Truman State University is pleased to announce a new exchange program at Glasgow Caledonian University in Scotland. Students pay Truman tuition and room and board fees in Scotland and can complete 12-16 hours of credit. Glasgow Caledonian University is one of the largest universities in Scotland and its campus is situated right in the heart of the lively city of Glasgow. Courses are offered in a variety of disciplines including biology, criminology, risk management, fashion marketing and retailing, interior design, economics, financial management, management, social sciences, law, media and communications, journalism, computer engineering, forensic science, psychology, social work and language courses. All courses are taught in English. Applications are due Sept. 1. Links to the main Truman Facebook, Twitter and YouTube accounts can be found directly on the University home page. A collection of other Truman departments and organizations can be found at social.truman.edu. Questions regarding Truman social media can be directed to Jeremy Brinning for main accounts, Cait Kern for alumni-related accounts and Tyler Madesn for athletic-related accounts. Feb. 14-Kohlenberg Lyceum Event: Montana Repertory Theatre, "The Great Gatsby"
Feb. 28-Kohlenberg Lyceum Event: "Seven Brides for Seven Brothers"
March 20-Kohlenberg Lyceum Event: "Much Ado About Nothing"
The next issue of the Truman Today will be available Aug. 21. Sophomore Emma Burditt and freshman Jessica Katzer earned All-Academic honors from the United States Track & Field and Cross Country Coaches Association (USTFCCCA). To earn the honor, the student-athletes must have a 3.25 grade-point average and achieve either an NCAA provisional or automatic qualifying mark during the indoor or outdoor track and field season. Burditt ran 11:14.40 in the 3000 meter steeplechase at the outdoor season opening Washington (Mo.) University Invite, March 28, which ended up being the 48th fastest time in Division II. Katzer qualifying mark came in the indoor shot put at the Missouri Collegiate Challenge, Feb. 21. Katzer had a mark of 44-1.50, which was good for 39th in Division II. Burditt and Katzer were among the 422 Division II women across 99 institutions to qualify for the award, while Katzer was one of just 25 student-athletes to post a qualifying mark and have a perfect 4.0 grade-point average. Kim Murphy, purchasing supervisor, passed her test to become a Certified Public Procurement Officer (CPPO). She completed the spring certification examination administered May 5-17 by the Universal Public Procurement Certification Council (UPPCC). The coveted Certified Public Procurement Officer (CPPO) and Certified Professional Public Buyer (CPPB) credentials, recognized throughout the public procurement profession, demonstrate an individual’s comprehensive knowledge of public procurement. Obtaining either UPPCC certification requires the candidate to demonstrate, through an application process, that they meet specific requisites, including formal education, procurement related coursework/training and public procurement employment experience. A comprehensive written examination specific to each certification is required to confirm the candidate’s mastery of a variety of public procurement concepts found in the UPPCC Body of Knowledge. Murphy is now certified in both CPPO and CPPB. President Troy Paino’s “T-Pain Misses You” video released last year received an Award of Excellence from the University and College Designers Association and will be included in the 44th annual UCDA Design Conference, Sept. 20-23 in Long Beach, Calif. The Missouri Greece Study Abroad 2015 program is offering five $1,000 scholarships for students who wish to study abroad in Greece for the spring 2015 semester. For more information, contact the Center for International Education at ciea@truman.edu or visit the Study Abroad Office in Kirk Building 114. Deadline to apply is for the spring 2015 semester is Oct. 10.